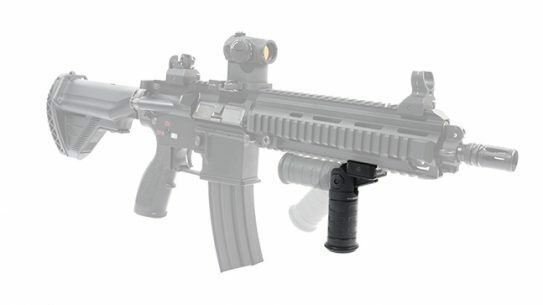 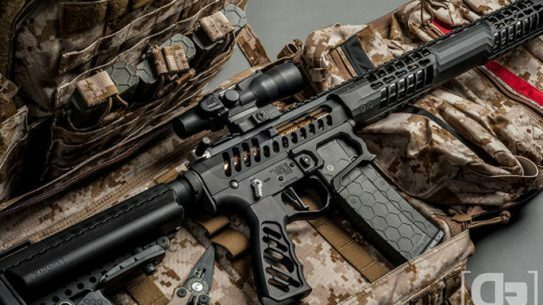 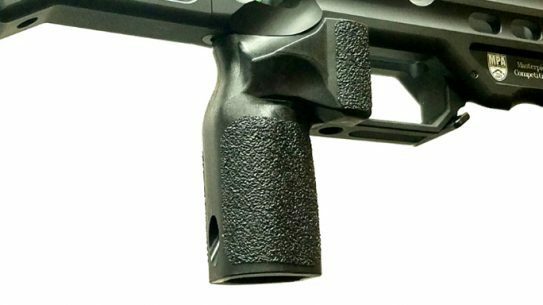 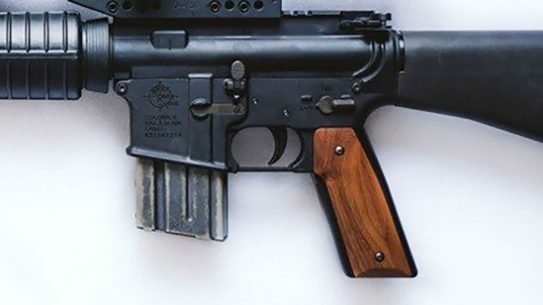 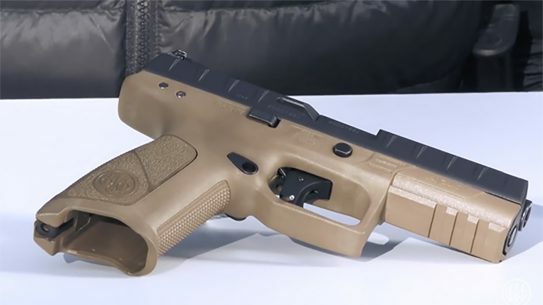 MPA's new Enhanced Vertical Grip for the MPA BA Chassis System includes an enlarged palm swell, trigger finger support rest and an enhanced thumb notch. 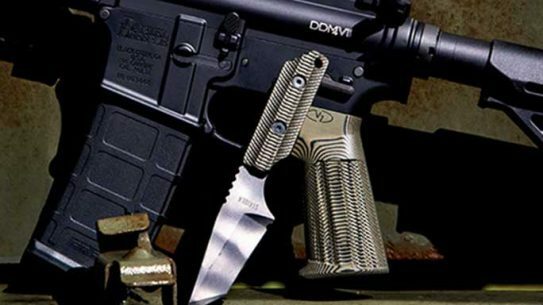 The HALO MiniVert from Tyrant Designs an aggressive side knurl for yaw control and a lower lip extension for multiple grip styles. 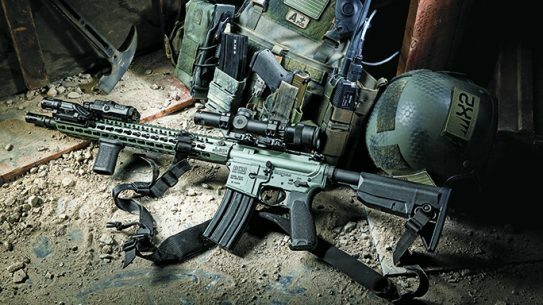 Strategically crafted and ergonomically engineered, Hogue's new 15 degree vertical grip is the obvious choice for any tactical rifle aficionado. 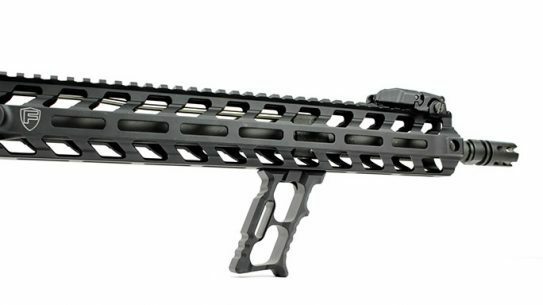 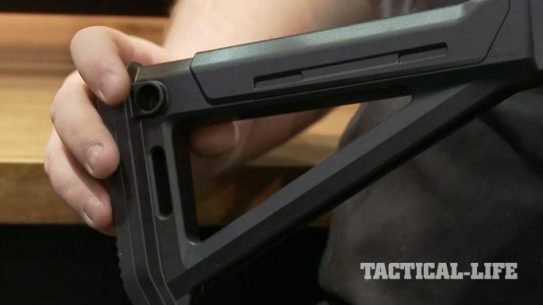 Operate your AR with confidence and precision using Tyrant Designs' new MOD ForeGrip, compatible with both M-LOK and KeyMod rails. 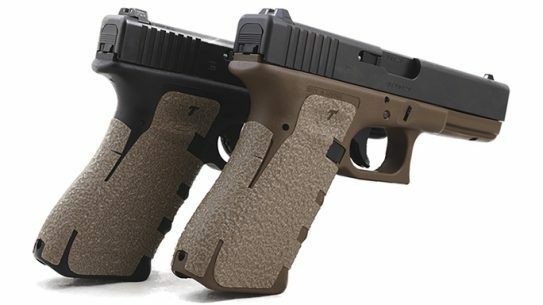 Moss is the first custom colored rubber grip added to the TALON Grips line. 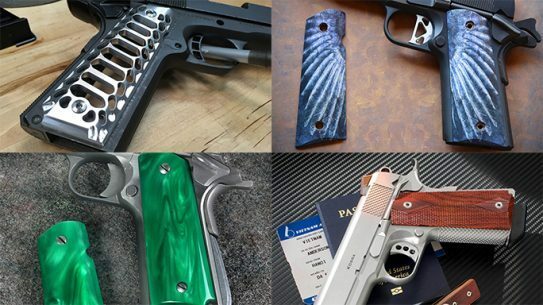 Customize your firearm for a better performance! 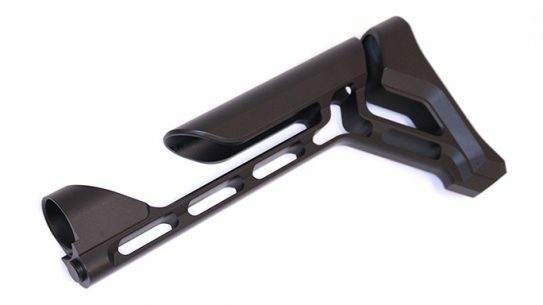 The precision machined and textured VZ ARG (AR Grip) is compatible with every AR variant currently out there in the marketplace. 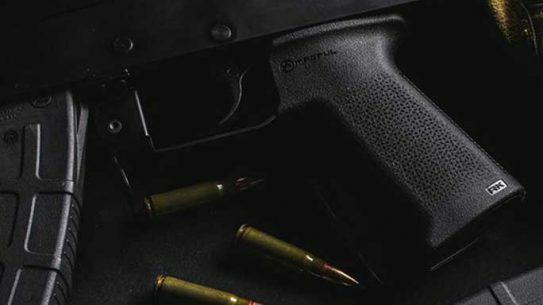 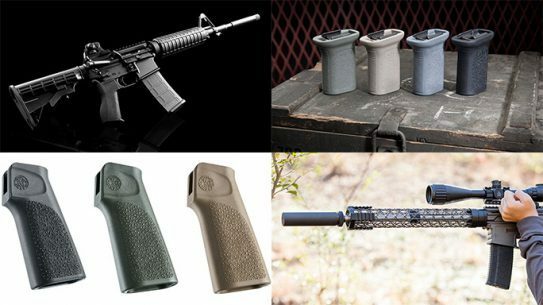 Magpul has announced it is now shipping its MOE SL & MOE-K2 drop-in upgrades for AK47/AK74 pistol grips. 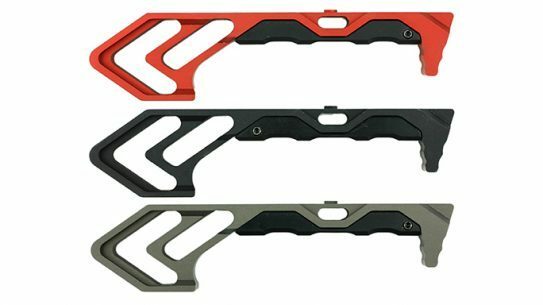 Available in black, red, blue and grey the Lightweight Pro series from Tyrant Designs is CNC machined from a single piece of aerospace grade aluminum. 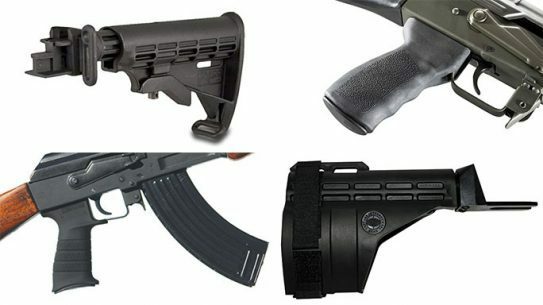 Take your stamped-receiver AK to the next level with AK’s new-for-2015 MOE & Zhukov AK accessories—stocks, grips and handguards for any mission! 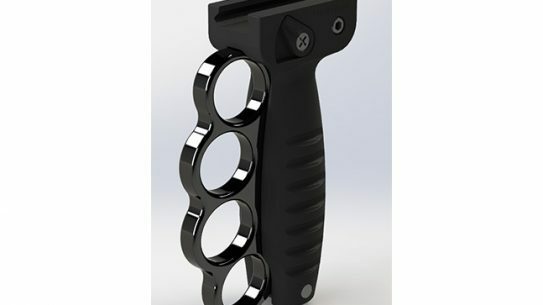 Stubby Grips line to include both Para Stubby and Steady Stubby at lengths of just 4 inches and 3.25 inches, respectively. 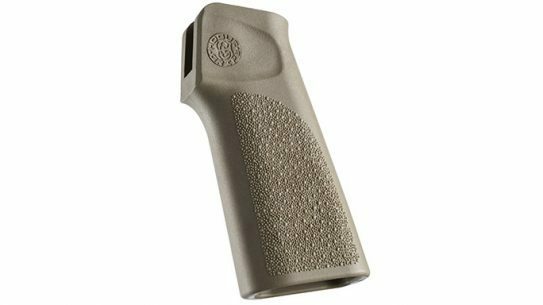 Survival Grips allow for user to convert from shooting with a firm grip to strengthened hand-to-hand combat in an instant.